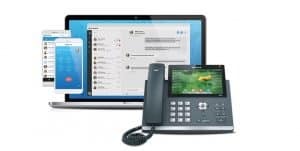 Move your phone system to the cloud and reduce your communications expenses plus get other essential features like video conferencing, chat and file sharing at no additional cost, all integrated to help increase employee efficiency and productivity. This isn’t your ordinary phone system. Elevate Unified Communications empowers your employees to be more productive, in the office or remote, by seamlessly integrating all their communication tools—desktop phones, mobile phones and computers—into one manageable solution oriented around their needs and workstyle. Check out the Elevate overview video below to learn more, and contact us at 646.558.5575 to get more details about our unified communications solution.